* Mariell's wholesale vintage bridal earrings have pave stones in a faux marcasite with a bold solitaire and are ideal for your wedding or special occasion. 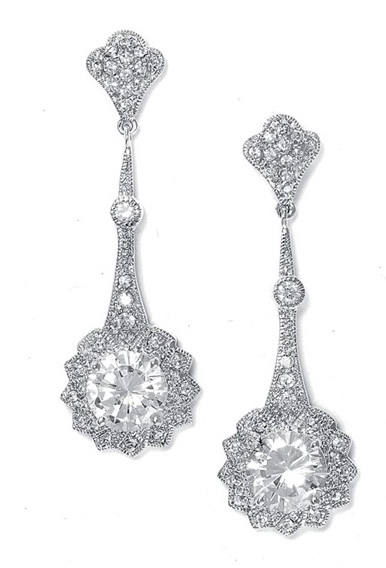 * Mariell's vintage bridal earrings feature inlaid pave stones in a faux marcasite design. * These breathtaking dangle earrings dazzle with a 10mm round solitaire. * These wholesale wedding earrings are plated in silver rhodium and measure 2" h and 5/8" w.